For many travelers out there, time is of the essence when visiting a new city. You want to see it all, do it all, and eat it all in a short amount of time. It is for this reason that I’ve been on the constant hunt for what is the best way to get around a city and see the sights. Walking, double decker bus, bike...which one to pick?!?! Although my #1 favorite way to see a city will always be on the back of a scooter, I recently explored the joys of seeing a city by a new set of wheels: A SEGWAY! I had never done one before and jumped at the opportunity when it came to me recently in Florida. 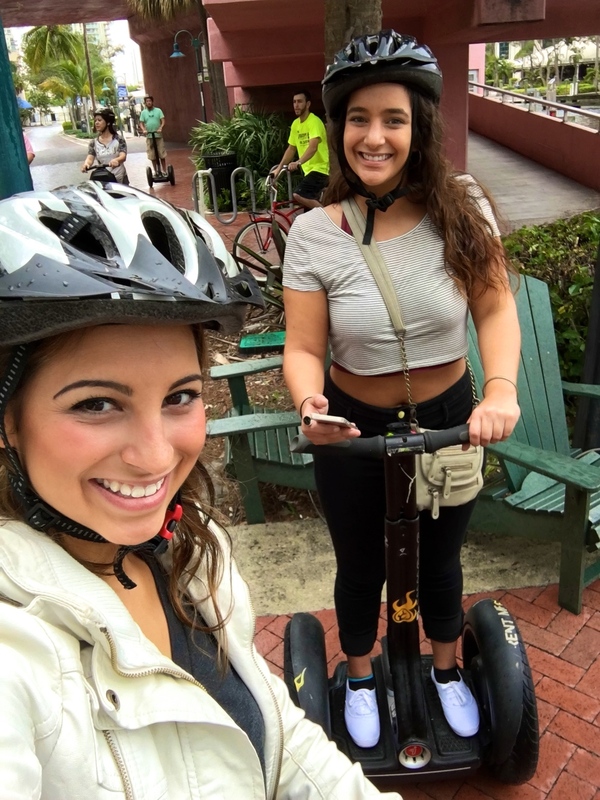 Thanks to the guys at Segway Fort Lauderdale, we were able to take in the sunny Fort Lauderdale streets in just 2 hours while learning a lot and having a great time. Have you ever been on a Segway? It’s a blast! I know, I know... Many of you are probably thinking I’m crazy/nerdy/weird, but I’m being totally serious! 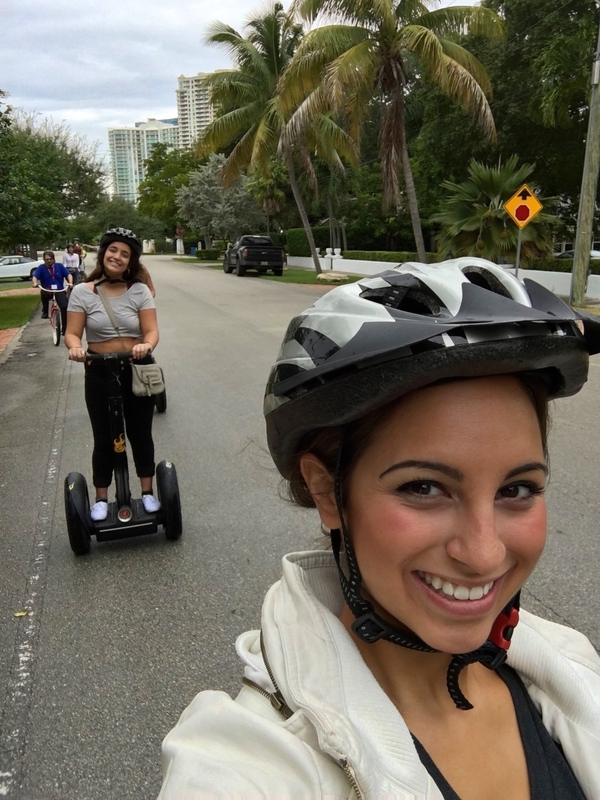 Here are 3 reasons why I think Segways are an amazing way to see a city. Since you’re on wheels, you’re obviously going much faster than you would by walking. You are guaranteed to cover a greater amount of space in a shorter amount of time, thus being able to see more of the sights you wanted to see in the first place! If you’re really pressed for time, consider telling your local tour guides the specific places you want to see so you can customize your tour in a shorter period of time. Speaking of local tour guides... Having a really awesome local to take you around on the Segway makes the entire experience so much better. They give you facts and tidbits of information about the area that you might have not known by just looking in a guidebook. The guys at Segway Fort Lauderdale were absolutely amazing with this! They had fun and silly trivia that they were telling us along the entire tour. I definitely walked away knowing a little bit more about Fort Lauderdale after their tour! If you haven’t been on a Segway yet, GO DO IT NOW! Seriously—Segways are so fun! Just hopping on them for the first time and cruising around (and going all the way up to a whopping top speed of 12MPH) is such a blast. Combine the fun technology with the joys of traveling and you’ve got a perfect recipe for fun, efficient sightseeing! This post was sponsored by Segway Fort Lauderdale. All opinions are my own.